If you give an 18-year-old guy more money than he can spend, what will he buy? 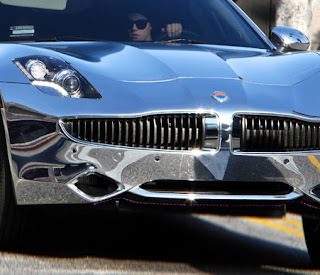 Obviously sports cars are at the top of the list, but when you're Justin Bieber any old $100,000 car won't do. 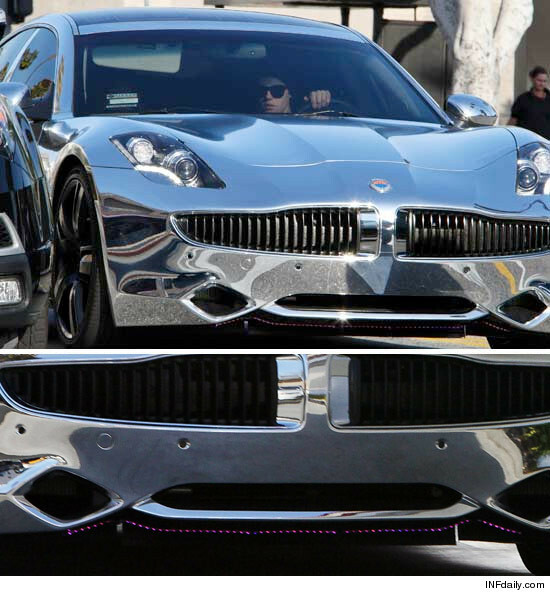 That's why the Bieb has tricked out his Fisker Karma, and why there's a good chance that he'll be getting a ticket. 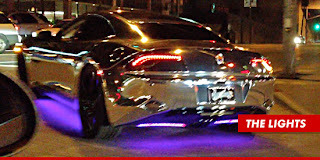 Bieber's car is coated in reflective paint sure to annoy other drivers, but according to TMZ that's totally legal. Surprisingly, it's the little fuchsia lights under the front grill that are likely to get him in trouble. Law enforcement sources say that in California front-facing lights can only be white and amber. 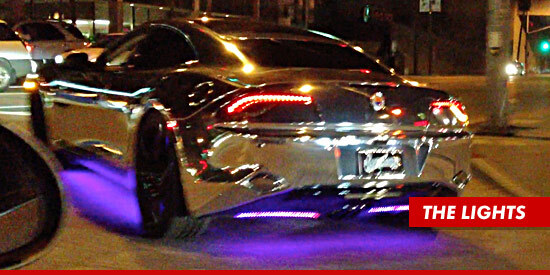 Plus, the paparazzi-deflecting tint on Bieber's windows is a bit too dark. This car, which was featured in Green Day's videos for ""Holiday"" and ""Boulevard of Broken Dreams,"" doesn't look like much - but it has some extremely unusual features. The band has no need for a mobile wine cellar, but they did ask for a flamethrower, leopard skin seats, and a hood ornament designed to look like a hand holding a grenade. James Washburn, who designed the car for the band, says, "Their favorite thing to do is shoot off the flamethrowers while playing the theme to 'Rocky' on the horn while the fog machine is smoking out the street."